A handmade concertina book of 8 drypoints with chine colle and hand painted end papers. Images displayed individually in the following slideshow. 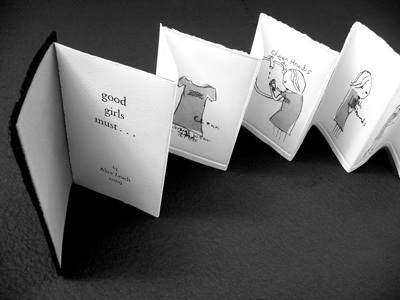 An artist's concertina book of rules for little girls that David Shrigley would surely appreciate.